Do you know what Nightshade/Nastergal Jam is? If you’ve ever walked around the Millys Farm Stall you should have noticed the dark mysterious bottle of Nastergal Jam (Nightshade Jam). Nastergal (the African Nightshade Berry) is a wild plant that grows only on the Highveld of Mpumalanga, part of Kwazulu-Natal and the Freestate. The berry is purple and the jam therefor is also a bright purple colour. Its an indigenous herb with hairy, toothed leaves and small white flowers that mature into berries. While the berries are said to be poisonous when green, they ripen into black and are then edible and can be used to make jam or a lovely syrup for ice-cream. The young leaves are also popular cooked (like spinach) or brewed into a tea which tastes like fresh peanuts. Collecting enough fruit for the jam can take months, sometimes years due to the scarsity, so it is a true labour of love. Nightshade also boasts a variety of medicinal uses. The plant is said to have anti-bacterial, anti-fungal and anti-pruritic properties and is useful for treatment of eczema, itchiness and eye-inflammation. Last but not least both the berries and leaves have been used for dye – blue from the berries and green from the foliage. 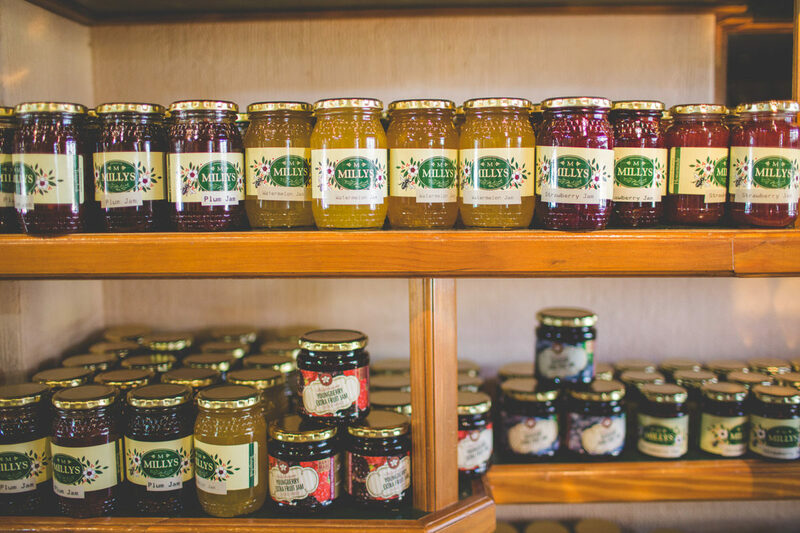 There you have it – not just a simple jar of jam!